Insurance is equally essential for businesses and consumers. They need the best cover to protect their family members from different troubles. With current reforms in health care policy, several Americans feel strain they have to pay their insurance premiums. Several families consistently struggle to manage the prices of skyrocketing insurance. It doesn’t mean to ignore the importance of a health insurance policy. Here are some tricks to save on your health insurance policy. If you want to decrease your insurance premium, it is essential to increase your deductibles. By increasing deductibles from $ 2500 – $ 5000, you can decrease the premium by 25% or even 35 to 40%. There is no need to double your deductibles to experience significant changes. Even slight increases may make significant differences. If you try to raise to $ 1150 – $ 2300 for your family policy, try to open an HSA (Health Savings Account) that allows you to contribute tax-deductible money. Moreover, you can get the advantage of tax-free money for medical expenditure annually. It may help you to stretch your money. For instance, if the deductible is $ 500, the premium per month is $ 484 per month, and the annual cost will be $ 5,808. Similarly, for $ 5,000 deductibles, a premium will be $ 247 per month, and yearly cost becomes $ 2,964. Now you can understand the instant savings with the help of deductibles. 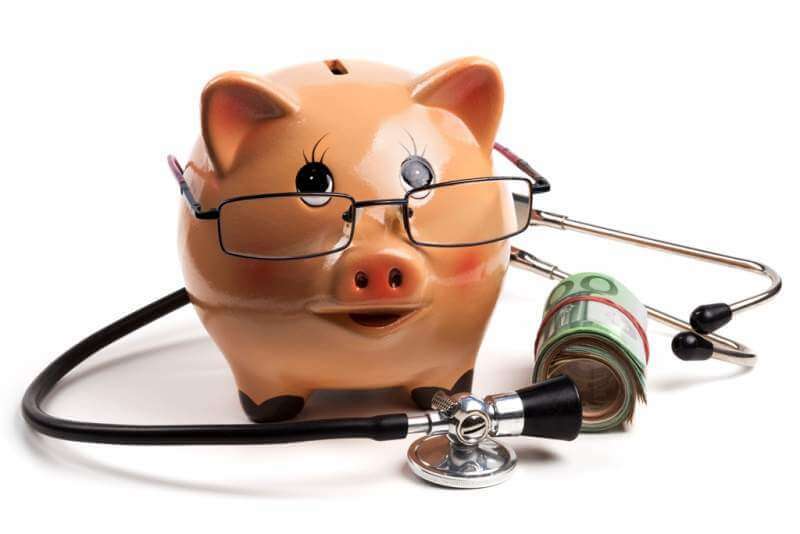 Higher deductibles (HD) can increase your annual savings. The higher deductible health plan can be a good choice for your family. These policies allow you to get the advantage of 1 – 2 preventative visits per year. For more information, consult your health plan provider. For instance, if you currently pay $ 250 per month for an HD plan that covers three members of your family. Each person can have deductibles of $ 1,500. In this situation, you can save over $ 1,500 on health insurance annually. While searching for cheap health insurance, make sure to check different providers. It will help you to get the best deals to cover the needs of your family. Before buying a policy, it is essential to check the requirements of your family members. If a person has specific health problems, try to get a separate policy for this member. Your family should get the best coverage from a plan. A decrease in subsidy may help you to get the assistance of your employer. With sudden spikes in prices, it will be good to keep your family on a separate policy. While searching for cheap policies, people often become prey of scammers. For this reason, don’t judge any health plan by its price tag. Try to buy the best plan within your budget. Before purchasing a policy, consider the family needs and financial status. If you don’t have health problems and luckily, your family is healthy, a higher deductible and lower premium plan can be a great choice. Mindfully evaluate the expense of health insurance by considering medications, medical appointments, emergencies, and preventive care. It will help you to save thousands of dollars each year. Major insurance companies prefer Obamacare insurance marketplaces across the state. In particular areas of a country, citizens have to shop from a fixed health insurance company, while preferring state-run insurance exchange. It doesn’t mean that you can’t get the advantage of other options. These are concealed in everyday sights. Feel free to check other health plans available in your area via private, online marketplaces. Check your area to explore available plans. By shopping through an online, licensed agent, you can find affordable options to satisfy your coverage requirements. You may find suitable alternatives under Obamacare rules. A person under 26 years of age can stay enrolled in the health insurance plan of his/her family with the consent of his/her parents. Several young people stick with their dad and mom’s health plan. It can be an affordable option for you if you reside close to your house and have easy access to network physicians. However, you have to evaluate this option. It can’t be the best choice for everyone. If you don’t have any access to medical facilities and network doctors, you should avoid this plan. You may need separate coverage for your health. Try to find affordable health coverage for medical expenditures. With a good plan, you can save a handsome amount. Young people can qualify for catastrophic health insurance plans. This option can be a better choice than full-fledged Obamacare plans. These plans are special for young people who stay healthy and rarely need medical care. With catastrophic plans, you can get substantial health benefits. It will meet help you to meet possible coverage requirements under Obamacare. The premium may vary between $ 131 and $ 261. Fortunately, you can get coverage for your prescription medicines with every health plan. Covered drugs may vary in each plan. Some programs put different medications in individual coverage tiers. Others may have exclusive coverage for other drugs. With the help of this coverage, it will be easy for you to save money. If you can’t afford Obamacare coverage, you can choose a packaged and short-term health plan. These plans are suitable for individuals who don’t qualify for open enrollment. The average premium for Obamacare coverage starts from $ 375 for a person without any subsidy. It doesn’t mean that you can’t get affordable options. For instance, short-term plans are good for temporary coverage for unanticipated injuries and illness. For this plan, you have to pay almost $ 110 per month. Some online marketplaces and insurance brokers may offer packaged medical products and insurance plans. These products are bundled with short-term coverage, such as critical illness or accident insurance, vision or dental insurance. Moreover, you can get the advantage of telemedicine. Packaged insurance products can be a good choice than short-term health plans. These are cheaper than Obamacare-compliant plans.